Mt. Pleasant Community Church and its portable cowboy church was the winner of the Lyndon trunk and treat first-place golden pumpkin. 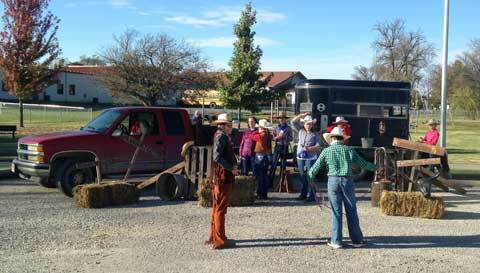 Cool fall weather moved in as Osage County celebrated Halloween over the past week. The sun was shining Sunday, though, as the Lyndon community held a trunk and treat at Jones Park, drawing several hundred trunkers and treaters. 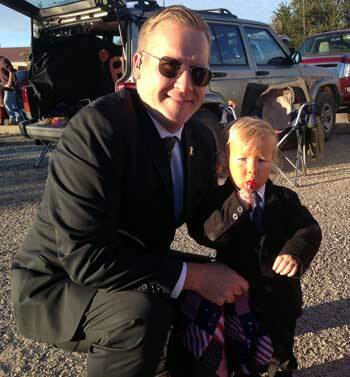 The festivity was even visited by the President with his Secret Service detail. 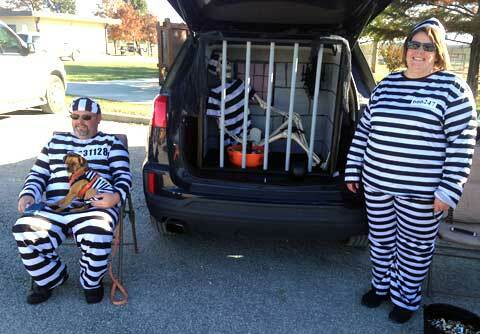 Halloween fun events were held at communities throughout Osage County over the weekend and Halloween night. The President enjoyed a Halloween treat with his tiny hands as the Secret Service ensured his safety. Some local jailbirds’ trunk, along with longtime cellmate and jail dog, was declared winner of the second-place golden pumpkin award. 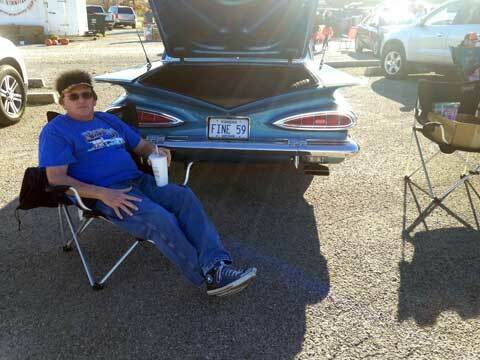 Greg Thill and his 1959 Impala demonstrate the true art of trunkin’. 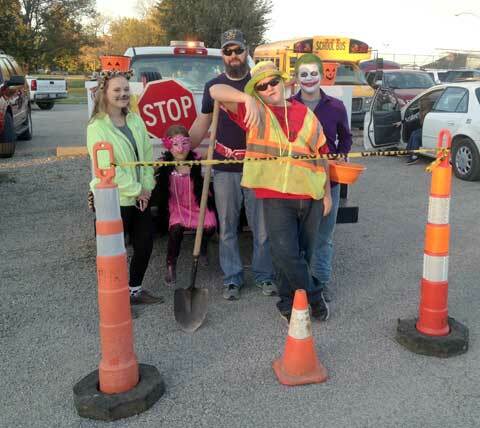 A wacky city maintenance crew took time from their busy schedule to greet trunk or treaters. See more photos of Lyndon Trunk and Treat here.